Social media users are up in arms over a video an Ohio mom posted on Facebook that has since gone viral showing her 10-year-old son getting a tattoo from a 16-year-old tattoo artist. Many people who’ve seen the video are pissed and say what they viewed constitute child abuse. People’s strong reactions to the video, which has been shared more than 14,000 times, and the sight of a child getting a tattoo from a teenager are not limited to social media. People were so invested in the issue, they cared enough to call the police about it. The video shows the people involved in the tattoo session appear to be in a private home, and not inside a tattoo studio. The 10-year-old kid is seen shirtless, sitting on a woman’s lap while the teen goes about the task of inking the child’s right arm. The needle could be heard in the video buzzing noisily. Professional tattoo artists have come forward with their opinions and say they are bothered with what they’ve seen in the video. Herring said he is disturbed by the video, too, being a father and a grandfather. It is illegal in Ohio to put a tattoo on a child without the consent of at least a parent. Police also said that tattoos must be done in safe, sanitary places. Another Dayton tattoo artist, Nick Harrison, is bothered by the fact that the boy being inked was so young. He bravely said: “That’s child abuse, I would say.” He stressed that at Blue Byrd Tattoo where he works, the rule is that patrons must be at least 18 years old to be accommodated. The young tattoo artist faces two misdemeanor charges. The mom whose identity the police opted not to release yet could also face charges. 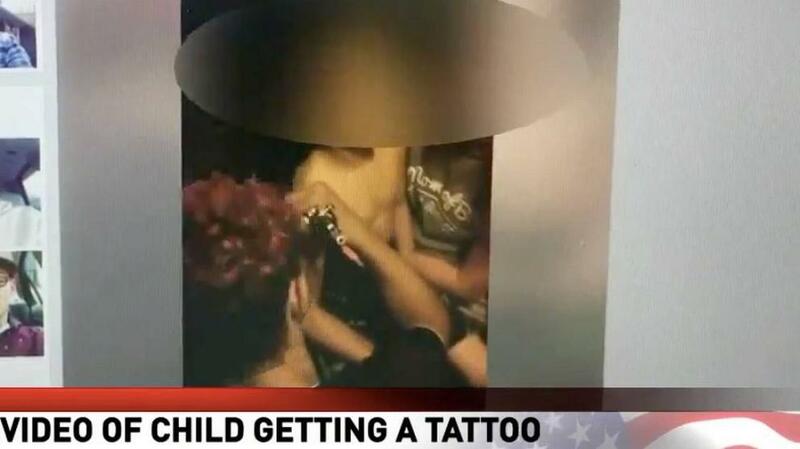 The state’s children’s welfare agency has also opened a probe into the family of the kid getting the tattoo.